Recently, the International Criminal Court (ICC), took an action which could be interpreted as joining the hypocrites' club when it invited and listened to the President of Nigeria, Rtd Gen. Muhammadu Buhari. The Nigerian genocidist spoke during the solemn hearing to commemorate the 20th anniversary of the International Criminal Court, pretending to extol the virtues of court. Perhaps, what the leadership of the court did not know was that they gave the Nigeria ruler a clean bill sheet by extending an invitation to him. They may have hoped that the world would not be that wiser but they were mistaken, to their shame, the world was shocked to know the kind of man they had chosen to fraternise with. Barely one week after the Buhari address, he has barred his fangs against his political opponents and democracy in Nigeria. Having already pocketed the Judiciary, he moved against the Legislature on Tuesday, July 24, 2018. The move which many people described as an executive coup, not only against the Legislature but also against the already comatose Nigerian democracy. 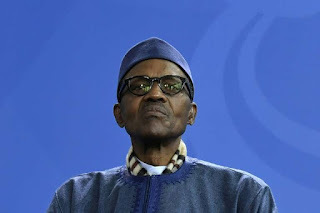 Buhari has been emboldened by the ICC to dispatch his men of the Department of State Security (DSS) and the Police to put under house-arrest, leaders of the country's National Assembly. Among the leaders are the Senate President, Bukola Saraki; the Deputy Senate President, Ike Ekweremadu; the Secretary of the Senate; and several other Senators like Dino Melaye. The aim was to make sure the men were not in their offices as he was set to stage-manage their impeachment. Apparently, having befriended the Nigerian mass murderer for reasons best known to them, ICC top leaders had decided to ignore and help him hide many of his atrocities from the world. Among those atrocities were the more than 131 complaints of documented crimes against humanity against him. The world is being made to know the kind of man Buhari is, as many lies about him have started crashing all around him. many of his atrocities are being made known to the world. One of the atrocities they chose to hide were the up to 131 complaints against the genocidist and mass murderer. But as things stand today, every lie and deception by Buhari and his henchmen are all coming out day by day, and will forever haunt the ICC leaders unless they make a u-turn. Another lie about Buhari that has been exposed was that which stated that he had nothing to do with Boko Haram, the ISIS-affiliated terrorist group. It has been revealed that one of his bodyguards, Hassan Aminu, has links with the terrorist group. That put paid to his denials that since the group named him as one of their negotiators. Buhari was not able to cover his tracks, and now the truth has blown open. With this development, the world can now congratulate the ICC top hierarchy for a job well done. They can now go on to celebrate the monster they created in Buhari, who is now emboldened to do anything without fear of reprimand, especially as the 2019 sham called election approaches. No amount of killings, manipulation or intimidation from Muhammadu Buhari and his kinsmen including his Boko Haram terrorist organization and #MiyettiAllah #MACBAN #HAKIKA #HausaFulaniMilitia #HausaFulanHerdsmen and their Colonial British mercenaries can stop us from restoring Biafra. We must continue and so shall it be.